Inaugural Rosters Released for Sacramento Republic FC Academy Republic FC Academy teams begin 30-match season on Saturday, September 5 versus the San Jose Earthquakes Academy. 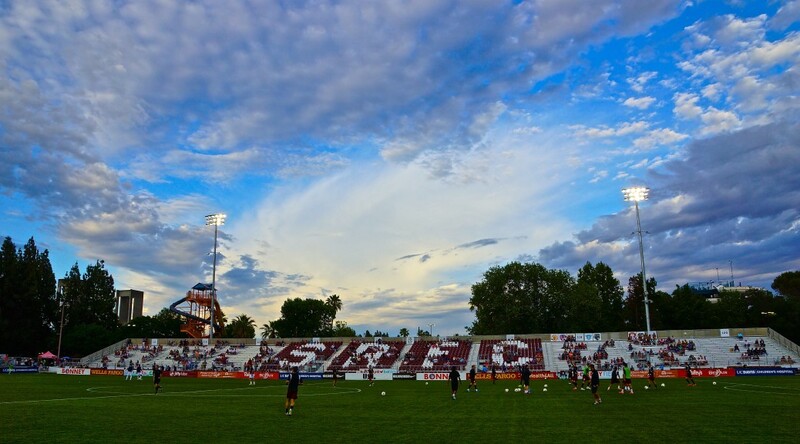 SACRAMENTO, Calif. – Sacramento Republic FC released their Inaugural Academy rosters for the 2015-16 U.S. Soccer Academy season. The Republic FC Academy will field U13/14, U15/16 and U17/18 boys teams in their inaugural season. All three academy teams began training on Tuesday, August 5, to prepare for the upcoming season. The Academy season is ten months long, with an average of three games per month. The U15/16 and U17/18 teams will compete in the U.S. Soccer Development Academy Northwest Division against academies from the San Jose Earthquakes, Seattle Sounders FC, Vancouver Whitecaps FC and Portland Timbers FC. The U13/14 team will also compete in the Northwest Division, but will play mostly regional clubs. The Republic FC Academy is comprised of 67 players on three different teams. The players represent 14 different youth soccer clubs and 43 different schools. The U17/18 team will be lead by former U.S. Boy’s U14/15 National Team coach Benjamin Ziemer. The inaugural U17/18 roster includes 25 players from seven local soccer clubs and 22 local high schools. Brian Willey, a former Sacramento State and American River College assistant coach and San Juan Academy head coach, will lead the U15/16 team. The U15/16 roster has 25 players from nine different local soccer clubs, representing 21 high schools. Simon Elliott, who has experience as both an MLS player and as a coach with UC Davis, will lead the U13/14 team. The U13/14 roster includes 17 players from eight local soccer clubs, 12 high schools and 3 middle schools. More information about the Academy, including complete rosters and schedule can be found at SacRepublicFC.com/football-club/academy.